Translating poetry is impossible in the sense that prose works can be translated (not to speak of the translation of nonliterary texts). But re-creating poetry in a different language is always possible and a nice challenge for the translator. The poetry of Hungary can become a part of world literature only if good versions in English are available. Translators, editors, and publishers, therefore, must try even when the task seems particularly difficult. John M. Ridland is a good translator (also a poet in his own right) with formidable experience of re-creating Hungarian verse in English. His translation of Sándor Petőfi’s John the Valiant (1991; rev. ed., Hesperus Press, 2004) is a text that carries all the major values of the original. Although Ridland does not speak the language, he has access to Hungarian poetry by collaborating with native speakers. 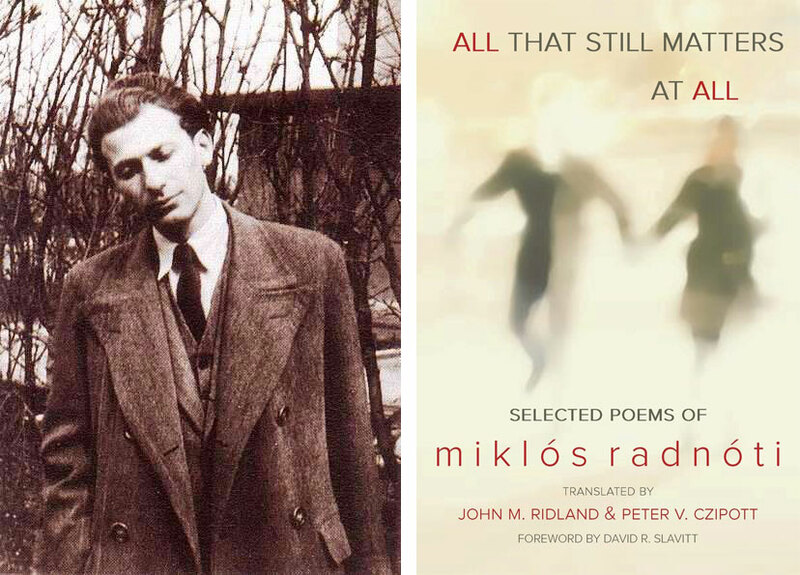 When working on Miklós Radnóti’s All That Still Matters at All (New American Press, 2014), his volume offering a generous selection of Radnóti’s poems, he relied on the rough translations of Peter V. Czipott. (Not for the first time: they have co-authored translations of Hungarian poems and prose works before.) Their method is explained in the translator’s note, which also reveals their attitude as readers of Radnóti: they want to see the lifework as an organic whole. Instead of choosing poems only from the Holocaust era, they also selected texts of high standard from the poet’s earlier periods. This way the English-speaking reader who comes across this major lifework for the first time will be able to see not only the beauty but also the coherence of the texts. Instead of choosing poems only from the Holocaust era, Ridland and Czipott also selected texts of high standard from Radnóti’s earlier periods. This way the English-speaking reader who comes across this major lifework for the first time will be able to see not only the beauty but also the coherence of the texts. The translators make it clear from the outset that they intend “to be true to form and content.” This means that apart from conveying the ideas and imagery of the Hungarian poems, the translations should also re-create the register of discourse and meter. This is significant since these are integral parts of the meaning in Radnóti. Fidelity does not imply mechanical transmission or the frequent use of calques. Just the opposite: invention is the only principle that will help the translators re-create the original in a different language. When in “After April Rain” the equivalent of ragyogó (“shining”) becomes “crystal” as an adjective of “puddle,” this slight deviation from the original verbatim meaning suggests a profound understanding of the image, and its re-creation is successful. In the poem written in memory of Federico García Lorca, the closing line in Hungarian is the exclamation “hej, Federico García,” which in Ridland and Czipott has become “¡Olé, Federico García!” With this innovation, a Spanish sentence (however simple) appears in place of the original Hungarian. Nevertheless, this reinforces the image of Radnóti’s attraction to western European culture—particularly viewed in the context of the next poem in the volume, “Cartes Postales,” a poem about France whose title is echoed in the titles of the poet’s last four texts, all entitled “Razglednica” (the Serbian equivalent of carte postale, that is, postcard). Sometimes Ridland and Czipott make the text more openly dramatic than Radnóti’s diction; in the middle of “Twenty-eight years,” for example, they convert free-indirect speech into direct quotation. This, however, only gives a sharper focus to the dilemma represented in the Hungarian text. Likewise, the title of “Tajtékos ég” (literally “spumy sky”) becomes “A Sky Full of Spume.” If the sky is “full of” something, that recalls the terror brought by bombers, an idea also suggested (although not explicitly said) in the original. One of the special merits of this book is that it includes all the seven eclogues. (They range from the “First Eclogue” to the “Eighth Eclogue”; the sixth one is missing because Radnóti never wrote it. Probably he thought of a poem differently titled as his “Sixth Eclogue.”) In the most famous of these, one of the most touching love poems in Hungarian literature (the “Seventh Eclogue”), we read the translation of a famous line: “Tell me, is a home still there, where they’ll understand this hexameter?” This is where the problem comes. Radnóti’s line is self-reflexive: deixis (“this”) points at the line itself. But this is not a hexameter, neither Greek nor iambic. The reader may be at a loss: which hexameter does he mean? Similarly, in the translation of “Late October Hexameters,” nothing justifies the title: the English lines are not hexameters. Creating Greek meter in Hungarian is very easy, whereas it is extremely difficult in English. Difficult but not impossible. It is worth comparing the previously quoted line from “Seventh Eclogue” with Peter Zollman’s translation: “Tell me about such a home where they still fancy an eclogue!” Zollman does not use the word “hexameter” but manages to create it. It may not be a rhythmically faultless Greek line, but it is very close: “fancy an eclogue” at the end, for example, forms a perfect dactyl followed by a spondee. Ridland and Czipott mention hexameter but fail to create one. In a universe where “things fall apart,” Radnóti can only turn to the power and tradition of classical forms to represent history. On the other hand, I would recommend some translations from the volume as more successful than previous translations of the same texts; two seem outstanding, and both are major poems. One is “Fragment,” Radnóti’s cathartic poem about the horrifying atmosphere in Hungary in May 1944. This shows the translators at their best in re-creating imagery as well as rhymes. These latter are not mere embellishments: in a universe where “things fall apart,” the poet can only turn to the power and tradition of classical forms to represent history (this is why hexameters and alexandrines are equally meaningful in other poems—unfortunately, only in the Hungarian versions). The other peak of the volume is the translation of the poem that most Hungarian schoolchildren will know by heart: “I Can’t Tell.” As Győző Ferencz points out in his critical biography, in this poem Radnóti faces his own death and leaves his heritage to later generations. In Ridland and Czipott’s translation, diction and rhymes are equally powerful; friends of Hungarian poetry, as well as those who want to learn something about Hungarian culture now, will find it moving and pleasing. István D. Rácz is a professor of English in the Institute of English and American Studies at the University of Debrecen, Hungary. 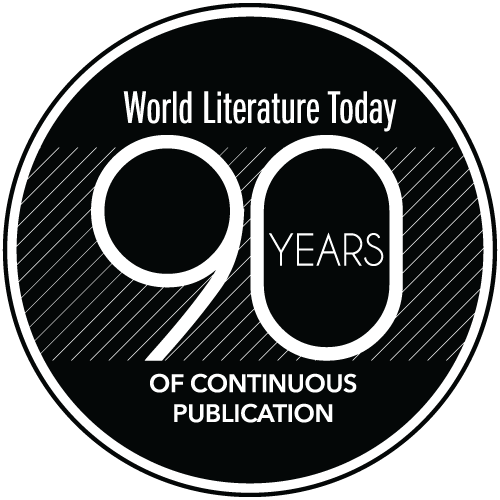 He has published books and studies on post-1945 British poetry, translation studies, and Romantic poetry.